In the year since her husband died, Laura Klein's world has shifted on its axis. It's not just that she's raising two children alone--fact is, Laura always did the parenting for both of them. But now her fifteen-year-old daughter, Darcy, is dating a boy with a fast car and faster hands, and thirteen-year-old Troy's attitude has plummeted along with his voice. Just when she's resigning herself to a life of worry and selfless support, her charismatic new tenant offers what Laura least expects: a second chance. Darcy isn't surprised her mom doesn't understand her, though she never imagined her suddenly acting like a love-struck teen herself. With Troy starting to show signs of their father's bipolar disorder, and her best friend increasingly secretive, Darcy turns to her new boyfriend, Nick, for support. Yet Nick has a troubled side of his own, forcing Darcy toward life-altering choices. 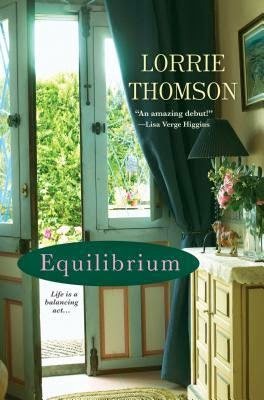 Exploring the effects of grief on both mother and daughter, Equilibrium is a thoughtful, resolutely uplifting novel about finding the balance between holding on and letting go, between knowing when to mourn and when to hope, and between the love we seek and the love we choose to give. I unexpectedly received a copy of this book in the mail from Kensington and for that I will give my honest opinion. Thank you! This is a beautiful story of one family who is learning how to cope in the aftermath of their husband/father's battle with mental illness and his suicide one year earlier. The story centres around Laura and her daughter Darcy and the pages are filled with emotion, guilt and uncertainty as they try to move on with their lives. Laura is trying to figure out how to move on when her entire life was spent caring for her husband, worrying whether he was taking his meds and trying to be the voice of reason. In the back of her mind is the concern that her children may end up with the same mental illness. Her life has been about taking care of others with no thought for herself. Her struggle becomes more complicated when she starts to have thoughts that she thought were buried forever about her new tenant. Darcy is also struggling with life without her father. They shared a special bond and she harbours some guilt over his death. At the same time she finds herself with the typical trials and tribulations of a teenage girl when a new boy comes into her life. Outwardly she appears rebellious and cold but inside she is struggling with her feelings of sadness, anger, hurt and betrayal. I thought that Thomson penned a beautiful and heart wrenching story of how mental illness can impact not just the person living with it but also the network of people surrounding that person. She was able to effectively get the enormous range of emotions to resonate on the pages. I was easily able to empathise with the characters in the book. The emotions felt honest and realistic. It was a very solid read. 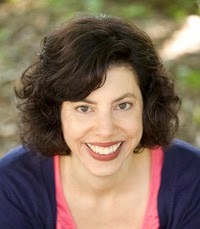 Lorrie Thomson lives in New Hampshire with her husband and their children. When she’s not reading, writing, or hunting for collectibles, her family lets her tag along for camping adventures, daylong paddles, and hikes up 4,000 footers.